How My Summer Went Up in Flames was exactly what I needed after reading a pretty disappointing book. It had all the aspects of a great summer read – a slightly crazy main character (in a good way), a road trip, a strong family dynamic, and cute boys. It sounded like it was going to be amazing, and it was definitely a good book, but it was just missing that extra something that makes me adore a novel. Our main character, Rosie – is someone you can’t help but love. The book starts with her being served a temporary restraining order from her ex-boyfriend because she lit his car on fire. There’s much more to it than that, but that’s basically what happened. She describes her personality perfectly when she says “I don’t have a bad temper, I’m passionate.” – because really that’s what she is. She always means well, but somewhere between her initial idea of what she should do and actually executing it – something always goes wrong. And she does spend the majority of the book pining for her ex-boyfriend, violating her restraining order, and then crushing on new guys (note how I said GUYS) – but that aspect didn’t bother me. The road trip was by far my favorite part of the book! Mainly because it features three secondary characters who really stole the book from Rosie at times. 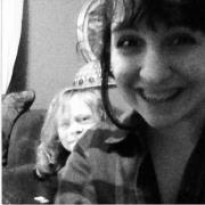 Talk about scene stealers! Matty, Spencer, and Logan were the characters that made this book enjoyable at times. Sure, Rosie’s character was interesting and her problems with the restraining order was interesting, but it got repetitive at times. And that’s where these secondary characters come in! They’re such a unique group of people, and they just own who they are. They like all of this nerdy stuff (in a good way), and they’re not ashamed! They literally planned out every stage of their road trip and I just loved it. I think what brought this book down from the initial four star rating I had originally set on, was the ending. It was a good ending, don’t get me wrong. It’s just that – everything felt a little too perfect by the end. I get that Rosie grew as a person during her time on the road, but she couldn’t have matured that much. However, it was good ending. And the romance? AH. I don’t want to spoil the who it is for anyone, so just know it’s there and it’s subtle. In a good way. 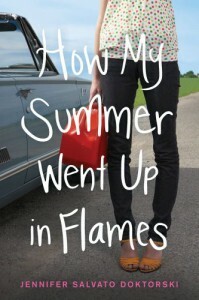 How My Summer Went Up in Flames was an enjoyable summer read, not the best but definitely not the worst. I’m having a hard time pinpointing exactly what was missing from this book, but there was just something not there, and it took away from the overall reading experience.